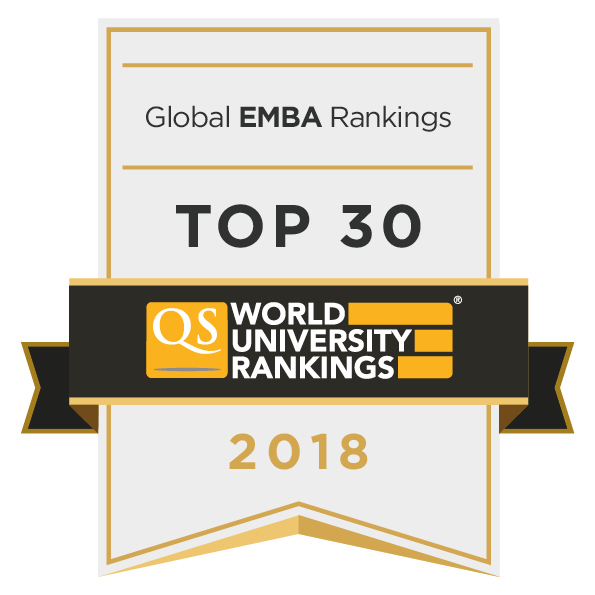 The CBS E-MBA team are thrilled to share that the programme has once again been placed among the world’s top 30 and Europe’s top 15 in the 2018 QS Top MBA global ranking of Executive MBA programmes. The rankings were made public on 26 April 2018 and evaluate programmes based on – listed here in order of importance – employer reputation, academic reputation, career outcomes, executive profiles and diversity. The CBS E-MBA fares particularly well in the category ‘executive profiles’ with the average executive sporting 16-17 years of work experience, which comes in a full three years above the global average. The CBS E-MBA also enjoys a great reputation amongst employers and academics around the world, scoring well above the global average (86 and 84, respectively) in both these categories. On a final note, we are pleased to report that despite keeping our classes small on an international scale, our cohort compares reasonably well when it comes to diversity. The surveyed class had participants of 15 different nationalities, which is higher than the global average. If you would like to delve further into the rankings, you can visit QS Top MBA’s website.